Priscilla's Crochet was one of the first sites I found on the internet. many nice sites were lost. It's nice to know Priscilla's Crochet is still there. 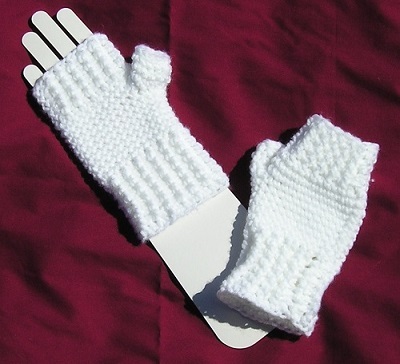 I made her Fingerless Gloves pattern a long time ago. I wanted something to keep my hands warm when I was at the computer. another really nice pattern site. makes them really comfortable to wear. it is called a panta but had no luck with that. because the ripple pattern increases. 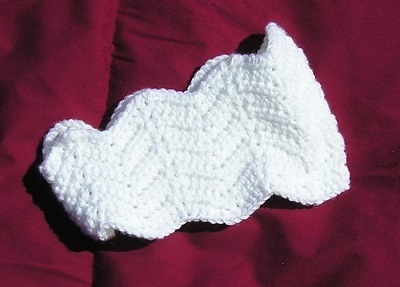 It also uses tunisian crochet for the ends. I omitted the the tunisian part and just sewed the ends together.